After much thought and mulling over ideas with friends, I came up with a concept. Originally, I wanted to show the juxtaposition between the dream version of Paris and the “real.” That is, the sparkling Eiffel Tower versus the graffiti and trash cans. Paris is the most romanticized city in the world, and I wanted to challenge that somehow. However, after painstakingly sorting through thousands of photos, I realized I didn’t have many pictures that showcase the “real” Paris. My photographic vision doesn’t fit within the street-documentary style of Photography, but rather leans more to the Fine Art realm. In creative matters, I always go with my instinct, so instead of searching out a completely new style to fit the theme, I changed the focus of the show entirely. 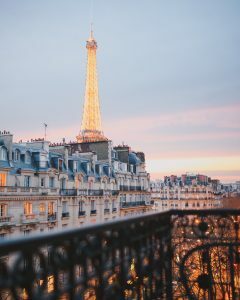 What I did instead was completely embrace the notion of Paris as the dream, and entitled the show Paris: A Living Fantasy. I spent hours and hours carefully choosing which photos to showcase, how to group them, how to frame them, what size to print them, etc. I re-wrote my 1-page artist’s statement 15 different times because I was overflowing with so many ideas that they could fill up an entire book. It was one of the most fulfilling things I’ve ever done, to actually curate my own gallery show. I pretty much had control of every aspect and the entire process was so thrilling for me. It made me come to understand my voice as a photographer, and on top of that, made me feel comfortable labeling myself as one in the first place. I wrote captions for each and every photograph because I felt that cultural and historical context was just as important as the image itself, perhaps even more so. Paris is filled with visual beauty, but it’s not all surface-level. Beneath the façade is a wealth of information, but you wouldn’t be aware of it unless you’ve been to Paris or studied Architecture or History. I wanted to help people understand what really makes Paris so great, to understand what living there feels like. I found that even after all this time living near Paris, the romanticized version hasn’t faded away. I still find myself marveling at the history and beauty of Notre Dame cathedral, even after seeing it 100 times. The Parisian dream – the sublime food and dreamy views, the picnics in the park and never-ending wine – it’s all real. Yes, there are times that I’m extremely frustrated by the dog poop on the streets, the occasional rude person, and train strikes, but those things don’t make the magical moments any less real. 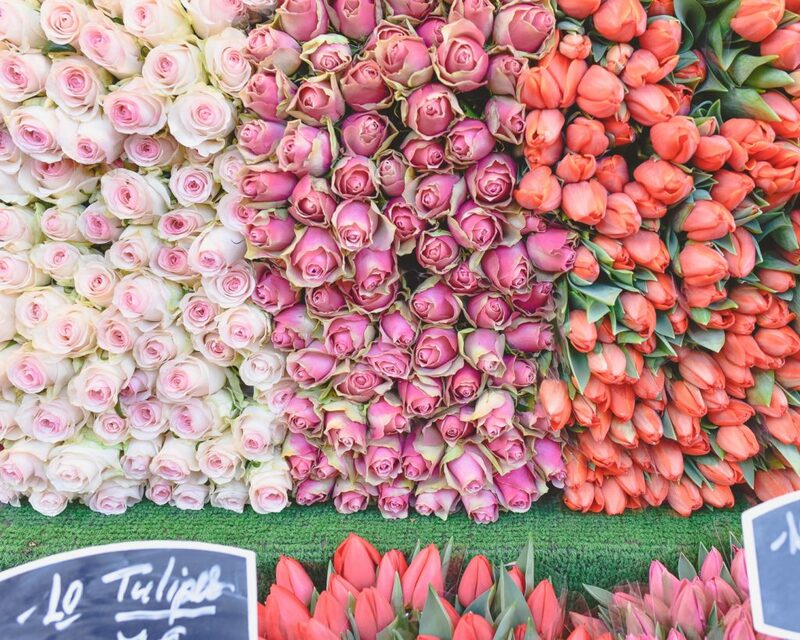 Fresh flowers are a staple of classic Parisian living. On nearly every block, there is at least one flower shop, overflowing with bundles of tulips, roses or peonies. They may only live for one week, but the joy you feel when looking at them in your home is worth the Euros spent. These were found at a market named after President Woodrow Wilson, in honor of the French-American alliance during WWI. Even flower shopping in Paris can be an opportunity for a history lesson. The word “France” is almost synonymous with “wine.” On a warm summer’s night, groups of friends picnic along the riverbanks, freely enjoying bottles of wine with no concept of the term “public intoxication.” There’s no law enforced that limits your pleasure in Paris. 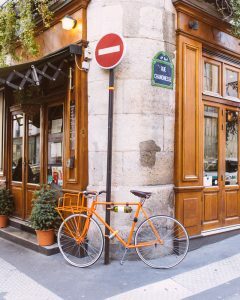 Wine anywhere and everywhere is totally normal, even on your lunch break, which is why the wine bottle holster on this bicycle is just too perfect. 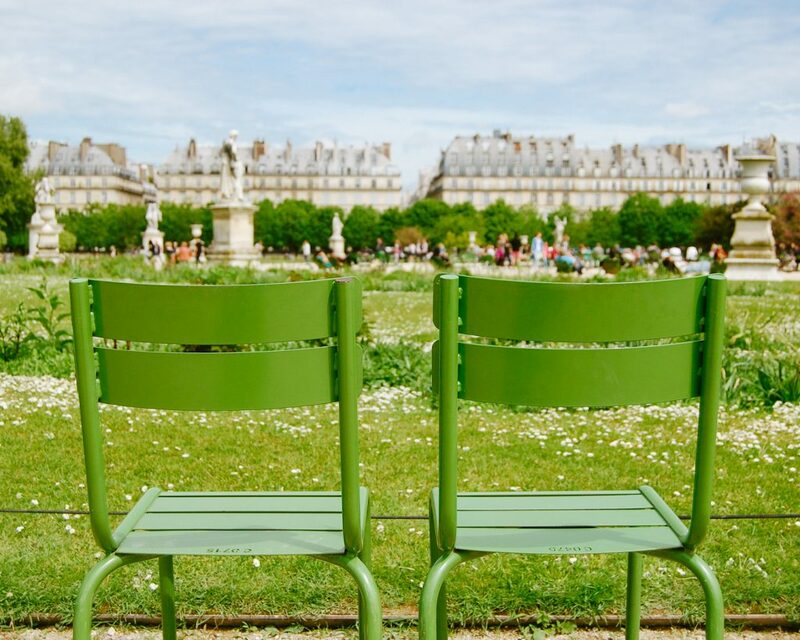 All the gardens around Paris are known for their chairs. Heavy, metal chair sin various shades of green that are sprinkled throughout the manicured parks like wildflowers. They usually congregate around the fountains, and on warm days, every single chair is occupied by a supremely happy sunbather. The Parisians don’t have the privilege of seeing the sunshine everyday of the year, like Californians, so when that elusive sun comes out, so do they. Their appreciation for the sun’s warmth is joyful and uninhibited. There are 15 photos shown in total, grouped into sets of 3, and every single image has its own caption. Maybe someday I’ll turn them into a longer blog post or even a book, but for now, you can see the rest exclusively at Sagebrush Café itself. Organizing the show and officially opening it felt like coming full circle. All my dreams of traveling the world, inspired by shows like Samantha Brown’s Passport to Europe, and House Hunters International, which I watched on the living room couch on weekday afternoons instead of doing my homework, had actually turned into reality, and I found myself back in my hometown, the place where all the ideas began. 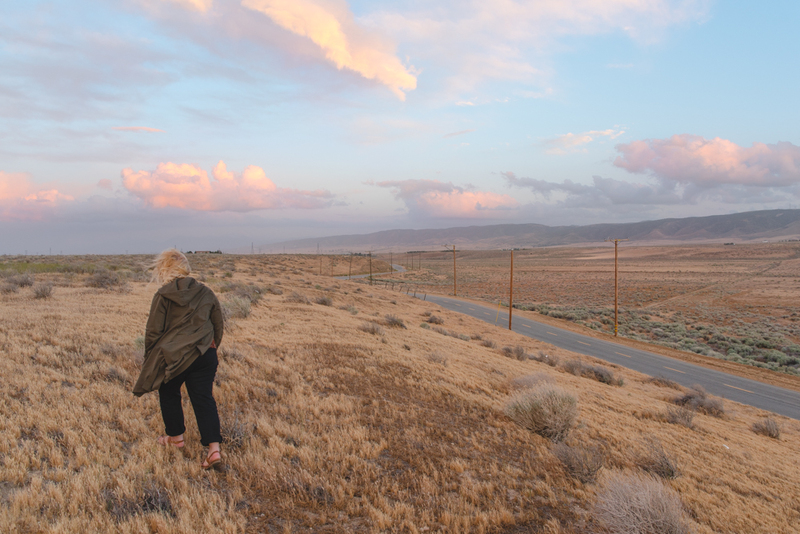 It feels like my way of saying to the people of the Antelope Valley: You can escape this suburban, mundane, American place – but maybe after a while you’ll find that it wasn’t so bad after all. Maybe the desert isn’t so brown and dead, maybe the towering and twisting Joshua Trees aren’t as mundane as you thought. Maybe the people who live here are actually kind and wonderful, not distant and self-involved. 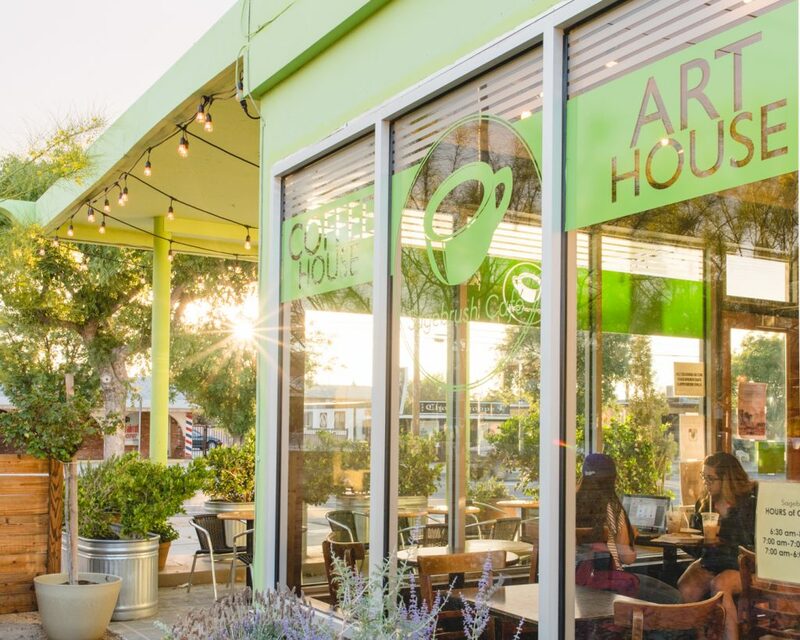 Maybe your hometown is worth something, after all. I have many more things to share from my time spent in California, including pictures of the show opening reception, and my trips to Santa Barbara and the Getty Villa. I’m a little slow when it comes to posting on this blog, but they’ll eventually come!